The primary source for the exhibit includes an exceptional collection of West Chester and Chester County postal history material amassed by world renowned collector Robert Brinton. Along with unique selections from the Brinton Collection several items from private award-winning exhibits and collections are also on display. The exhibit was put together by guest curator Bill Schultz along with the display expertise of the Chester County Historical Society museum staff. One of the absolute highlights of the exhibit for this collector was the most complete and impressive collection of Westtown local issues (Scott 145L) ever on display, with the rare local boarding school stamps shown both on and off cover. Another notable item in the exhibit, for this baseball fan at least, includes a cover addressed to Hall of Fame major league pitcher Walter “Big Train” Johnson. 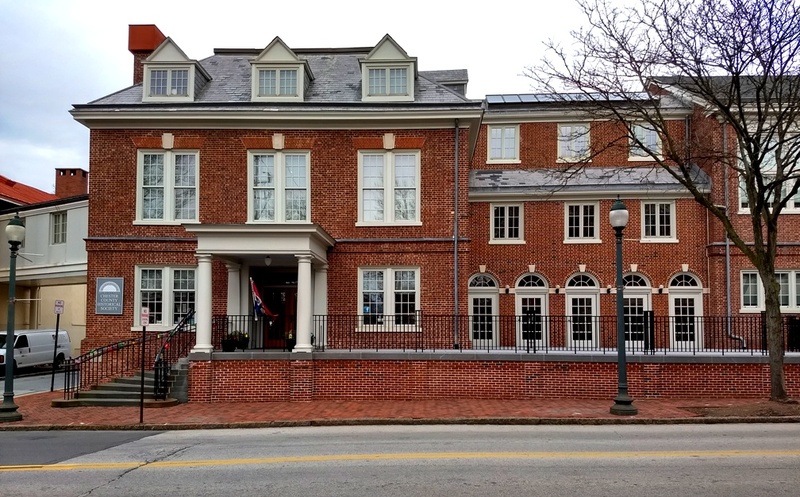 Along with these aforementioned objects the exhibit also includes original 19th century post office signs from Chester County, mail sorting cabinets and desks, an assortment of mail bags, a fascinating collection of mourning covers, and a children’s activity area for sorting mail. During his talk about B.N.A. – U.S. cross border mail during the Civil War Ron Majors used many of the covers from his own collection along with covers from fellow collectors to illustrate the extent and nature of cross border communication before, during and after the Civil War between the two burgeoning nations. As mentioned during the lecture many do not realize that over 50,000 Canadians fought in the U.S. Civil War, mostly for the Union, as mercenary soldiers. Sending and receiving letters from Canada was quite commonplace but as Ron Majors noted throughout the lecture it’s often very difficult to find examples of these covers at auction for a reasonable price. 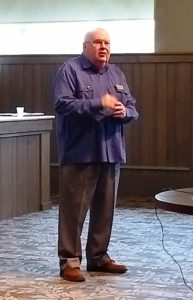 Ron also provided details of the postal rates and routes between the two countries at the time of the Civil War and indicated these rates and routes on a variety of the covers he showed throughout the lecture. 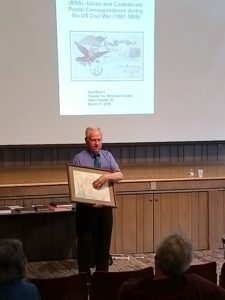 If you get a chance to attend one of the remaining lectures or just want to stop by the Chester County Historical Society for a visit and see the postal history exhibit you can find more information about both the lectures and the exhibit at http://www.chestercohistorical.org/exhibit/youve-got-mail. If you do go, be sure to have Bill Schultz take you on a personal tour and if you get a chance ask him, among many other interesting things in the exhibit, about the lesser known but no less important “Eastern” Pony Express, you won’t be disappointed and a little surprised. Thanks for the description and pictures of a very interesting event! Wish I could’ve attended.